The kind of Mac automation I write about this site generally refers to automating tasks you perform manually on our computers. Most of the tasks we perform are pretty routine, such as downloading webpages, opening, hiding, and quitting applications, filtering and moving files and folders, copying and pasting texts and URLs, selecting menu items, saving documents, and much more. These kinds of computer tasks are not difficult to perform, and most often we perform them without much thought. But many of these tasks can become repetitive and redundant. Luckily there are several applications that can automate these tasks for us. The applications I generally write about and recommend don’t require any coding skills, but they do require you to think like an application developer, well at least a little. Basically to be a Mac automator, you need observe and duplicate the steps you to take to perform a task. Those steps might include pressing a keyboard shortcut, clicking a menu item, clicking a link on a webpage, or renaming and resizing an image. 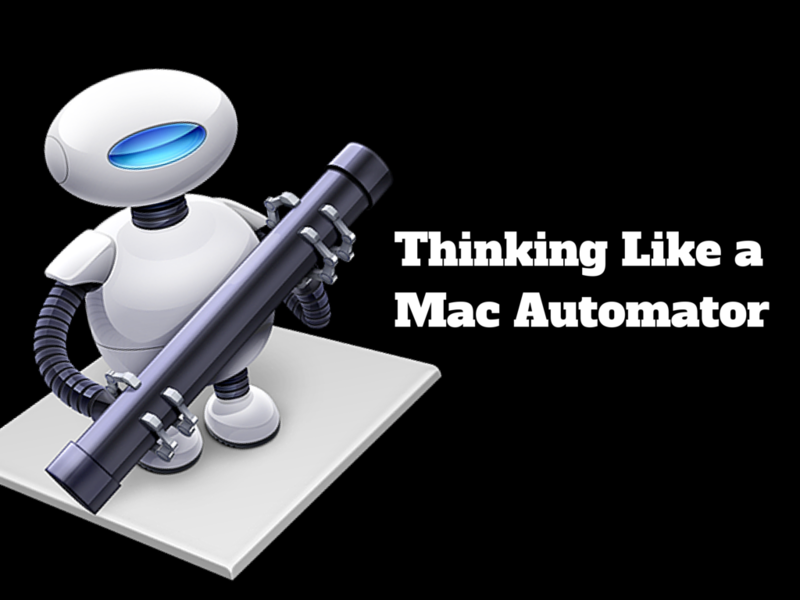 When you realize that you’re performing certain tasks repeatedly, then as a Mac automator, you will start to consider if that task can be automated. Is there way to reduce the steps down to a keyboard shortcut, or can it be triggered by some other method requiring fewer or no steps? 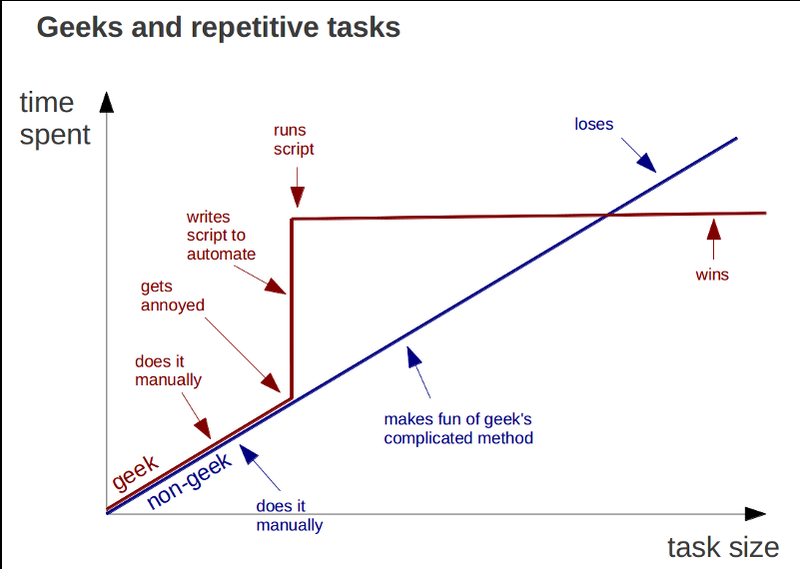 As the above graph shows, the general user simply keeps performing the same task over and over, but the geek (or the Mac automator) stops and creates an automation for the required manual steps using the best program for the task at hand. For the purposes of this site, you don’t have to be geek who writes scripts or codes, you just need to know how to put together the right actions and triggers. The Mac automator fine tunes the task if need be until it performs the job as efficiently as possible. Over time, the Mac automator can get things done faster, with less redundancy than general Mac users. This site provides ideas for how to use automation applications so that you take Mac to the max.